True friendship is about give and take but not allowing the scales to tip all in one favour. A friend is a friend to the end except if they hurt you or use you, there is no friend in that. Over the course of our lifetime there will be many friends that come and go. Some people are going to leave because it simply is the end of their part in your story. It is sad when you realize people you once considered close friends, don’t value the friendship like they used to, Soul contracts do expire, the key is to know when to let go. True friendship doesn’t mean how long you have been together, but it’s how you value one another. If at some point the value in the friendship shifts, then it is time to take a look at what the friendship really means to you, how much more are you willing to give of yourself to support something that has perhaps become outdated! Friendships can make us cry, they can make us angry, they can let us down and break our hearts, it is just the way friends are sometimes, but necessarily all of the time. 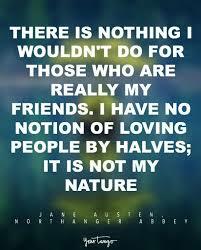 Friends that are not loyal to your Soul, because they are only loyal to their need of you, are not true friends. Friendships are not made, they can’t be forced, they are only born out of respect, and with a deep understanding that involves value and loyalty. Those are the friends that are worth keeping, because it isn’t what they want of you, but what they can do for you that matters the most to them. Friendships are a complicated matter, but a true friend who values who you are isn’t complicated at all. Perhaps as a human does, we never know the value of a moment until it becomes a memory.